W!LD RICE brings the Year of the Monkey to a happy climax with its 13th holiday musical extravaganza for the whole family! 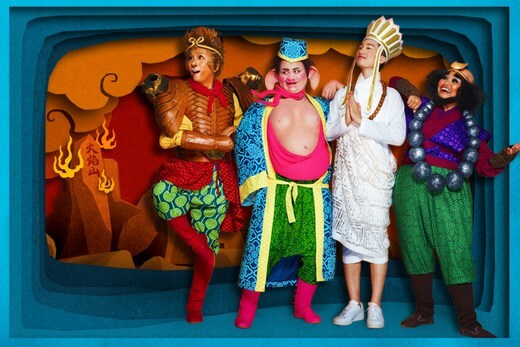 Winner of ‘Production of the Year’ at the 2015 Straits Times Life Theatre Awards, Monkey Goes West is an affectionate and cheeky retelling of the beloved Chinese fantasy classic. Join now for an epic thrill ride that will take you from Haw Par Villa to Jurong West – by way of a colourful world filled with mythical monsters and naughty fairies. FUN and FRIENDLY volunteers are invited to help out with Front-of-House duties from 18 Nov – 17 Dec 2016 at the Drama Centre Theatre, The National Library Building. Interested volunteers, please email foh@wildrice.com.sg with your available dates and contact number.